<< PREVIOUS: Viva Tom Zap! We all know that the Oaxaca — Puerto Escondido Super Highway is well on the way to being completed. What we don’t know is exactly what impact this will have on tourism in Puerto. We may not know what changes will occur but we can at least hope for the best. People and businesses are starting to prepare for a greater influx of tourists, since we pretty much all have the expectation that tourism will grow. So what are we going to do about growing with growth? 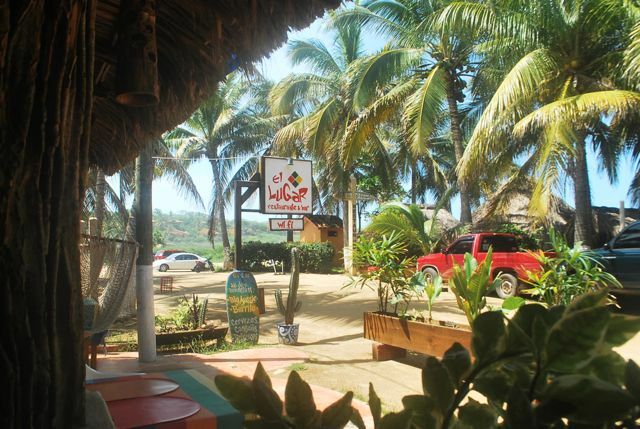 As someone who has run a business/restaurant in the Punta de Zicatela for four years, I personally decided that it was time to look at my own options and see if there was a way to increase my income while keeping the reputation of El Lugar (my restaurant) intact, or in fact building on it. There were many options; move location to Zicatela where there were bound to be more tourists, or open a second El Lugar in another location, perhaps the Rinconada. And then there was the option of perhaps downsizing and having a more specialized menu. 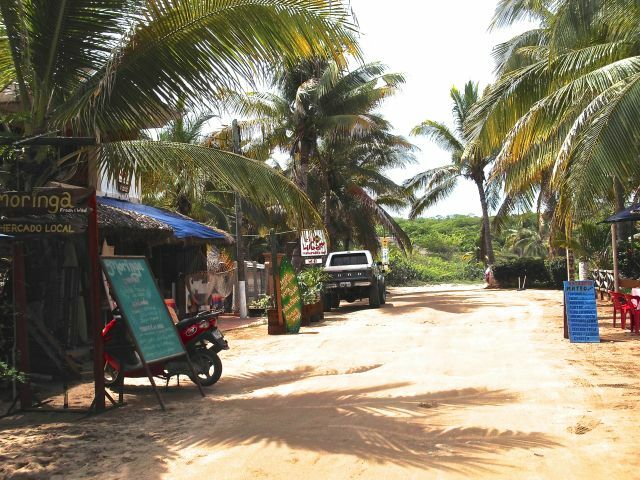 While I was weighing my options, my partner Gustavo and I were approached by a local business-owner in La Punta. He offered us the opportunity to rent his entire hostel. To be honest, I was quite flattered that now I was considered a part of the local community and that they would trust me with running a business that they had built up over many years. We took a walk 50 meters down the street to check it out. I liked it. We were both excited at the opportunity, but my concern was that it would be way too hard to run a hostel AND have a restaurant in another location. To make money, you have to work hard and the logistics of controlling both businesses would be near impossible. Another thing to consider was paying rent for two properties instead of just one. I didn’t want the scenario where one business would be covering the expenses for the other. I wanted both to work independently of each other. 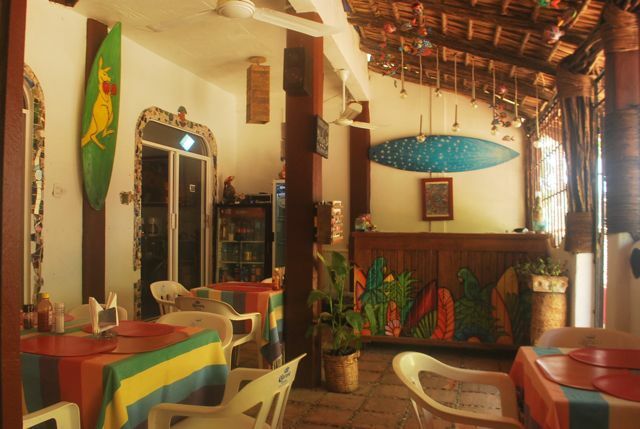 So I put it forward to the owner that perhaps we could also include in the rent, the surf shop that he had in front of the hostel and we could turn it into the new El Lugar. He thought about it for a while, and agreed that it would be a good idea. So it was to be. Contracts signed, agreements made and we were in. With a great team (and my poor visiting nephew, James, who had no idea what he was in for) we started the process of growing our business. We had a much smaller space to work with for the restaurant, but all of us put in 100%, worked day and night and, finally, we were ready to make the move in less than two weeks. We were quite fortunate that there was not a lot of work to be done apart from building a new kitchen for El Lugar. We renovated the new place while the old El Lugar was still running. We built a new kitchen bar and sink with shelves, all with recycled timber. We painted, cleaned, scrubbed and varnished everything. It looked fresh and rustic at the same time. The hostel was in great shape but we had to inject some money to make some personal, essential changes. Firstly, there would be good mattresses, good quality “matching” sheets, shower curtains, toilet seats on all the toilets and toilet paper in every room. Done. 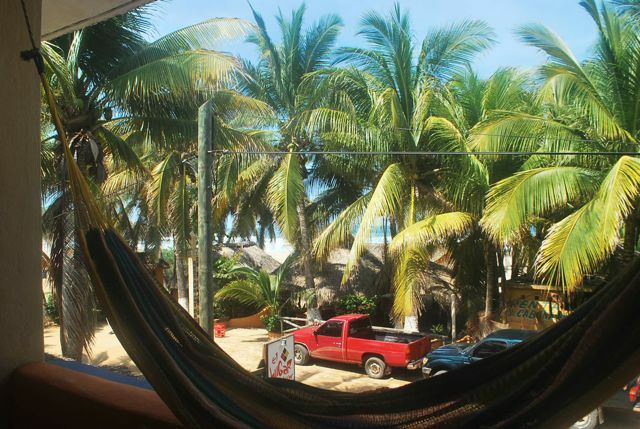 We are almost there, with El Lugar running well in a new, better location, and all small fixes applied to the hostel, we were pretty satisfied that we had done what we could – for starters. There’s still more that we would like to do, and need to do to make it ours, but we are well on the way. There are many folk out there who fear change and only feel comfortable in their safe space. As you can imagine, being an Australian and making my dream a reality of starting a restaurant here in Mexico, I personally love change. Being stagnant for me is not an option. The funny thing is, that I know that I could have kept the success of El Lugar going (I worked four hard years to get it to where it was) and I could have kept building on that reputation in the old location, but after four years it really was time for a change. Although I am on the same street, in fact on the same side of the street just 50 meters further down, a fresh new approach to the business comes hand in hand with a new location. We are excited about the opportunities this change offers us. Even if there isn’t a significant increase in tourists visiting Puerto, this change was a necessity for me. As a town, we are constantly changing and shifting. Businesses come and go. Restaurants are increasingly providing a wider variety of cuisines for tourists and locals alike. Quality and cleanliness are important if we are to be taken seriously as a tourist destination. So we look forward to the future, whatever it may bring. Hopefully I am here for a long time, this is my home and right now I am in a better place (personally) than I have been for a while. I have a great challenge ahead of me. I know it’s not going to be easy, but easy was never an option. And yet, I am waiting for a new era in the history of Puerto Escondido. And I am ready!